Thank you for that introduction, Vicky, and thank you all for being here this afternoon. It is a privilege to share this important stage with colleagues from the City of Indianapolis and partners from throughout the city. This summit brings together business and civic leaders to reinforce and celebrate our shared commitment to creating a more sustainable community. As some of the largest employers in the city of Indianapolis, everyone here knows that clean water, breathable air, vibrant ecosystems, and a thriving local economy are crucial. Taking steps as individuals makes an impact—recycling, reducing our carbon footprint, controlling vehicle emissions. 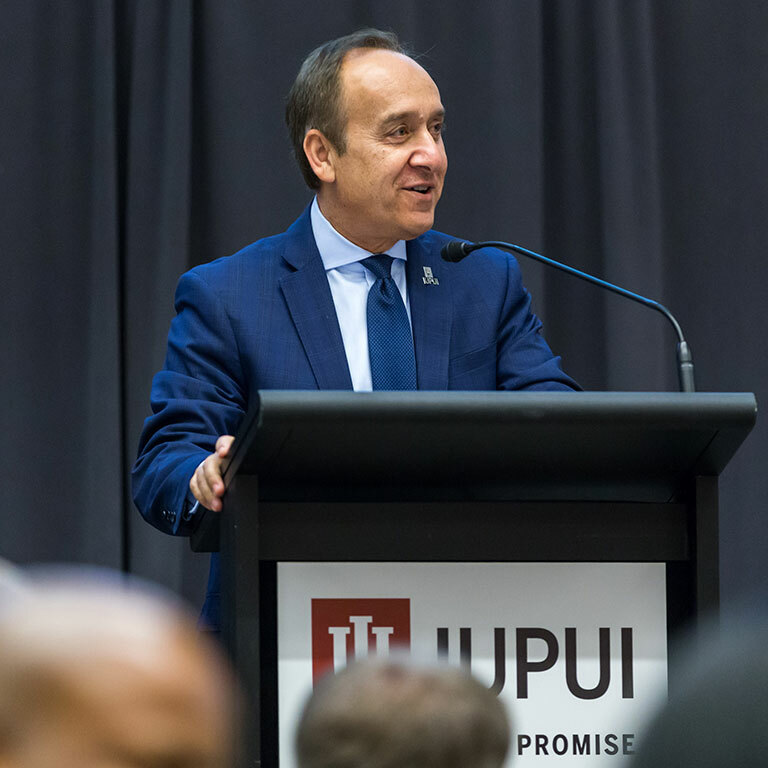 Multiply that by thousands to see the impact across IUPUI and by millions to see the impact across central Indiana. 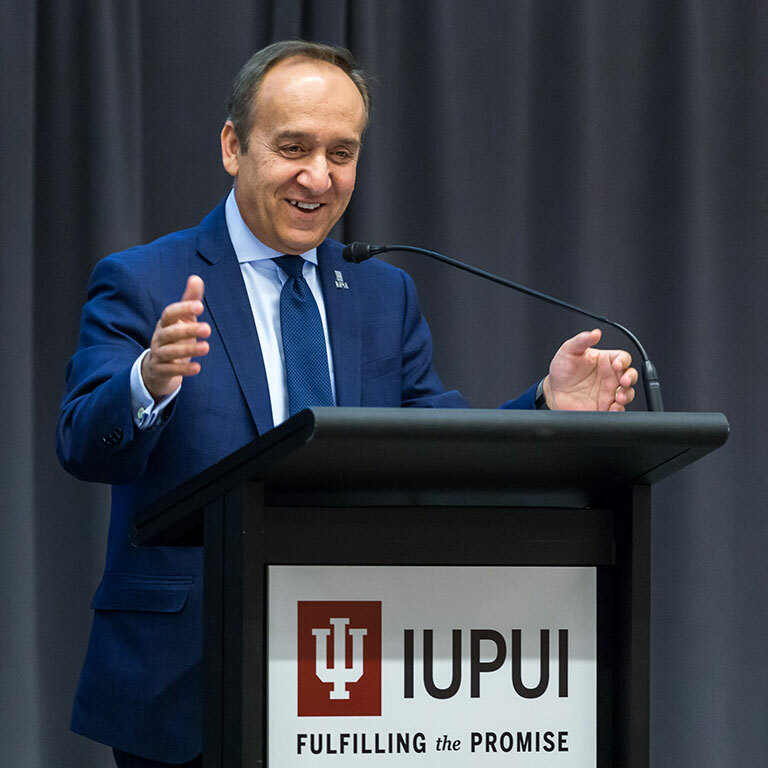 At IUPUI, I’m proud of all that we have done with leadership from our Office of Sustainability directed by Jessica Davis. In 2016, IUPUI hosted the Olympic Dive Trials at our Natatorium. It was Indiana’s first-ever, zero-waste athletic event and the first zero-waste Olympic trials event in the world. 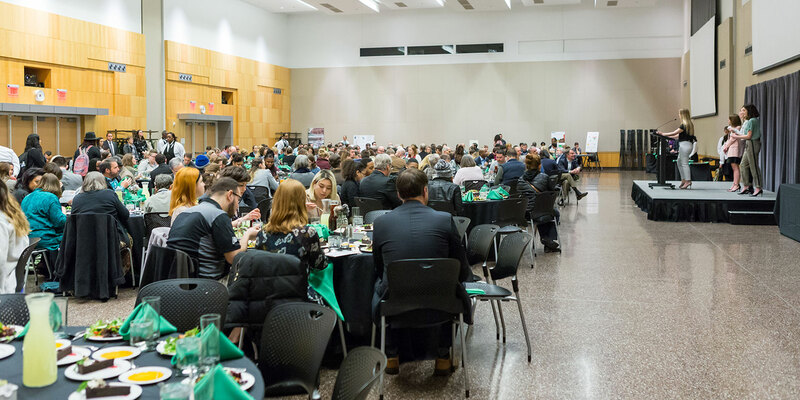 As a result of this and other sustainability efforts, the Natatorium received the Green Sports Alliance Environmental Innovator of the Year award. We are also a designated Tree Campus USA -- 6 years running -- and we are the first state university in Indiana to be designated a Bee Campus USA -- that’s B-E-E. Of course, everyone here knows that IUPUI is an A-plus campus. Our beehives are located in the New York Street Garden. I’m proud to add that last year, we were named one of the greenest schools in the country by Sierra Magazine, and we also were recognized by the Environmental Protection Agency as conference champion in the College and University Green Power Challenge. I could go on about our LEED building certifications, about our Indiana Pacers Bikeshare program, and about our ongoing waste, energy, and water reduction efforts. But let me close by saying how important our partnership with the City of Indianapolis has been in these efforts. We have been able to partner across institutions and organizations because this city encourages this kind of collaboration in the interest of our citizens and the health of our community. 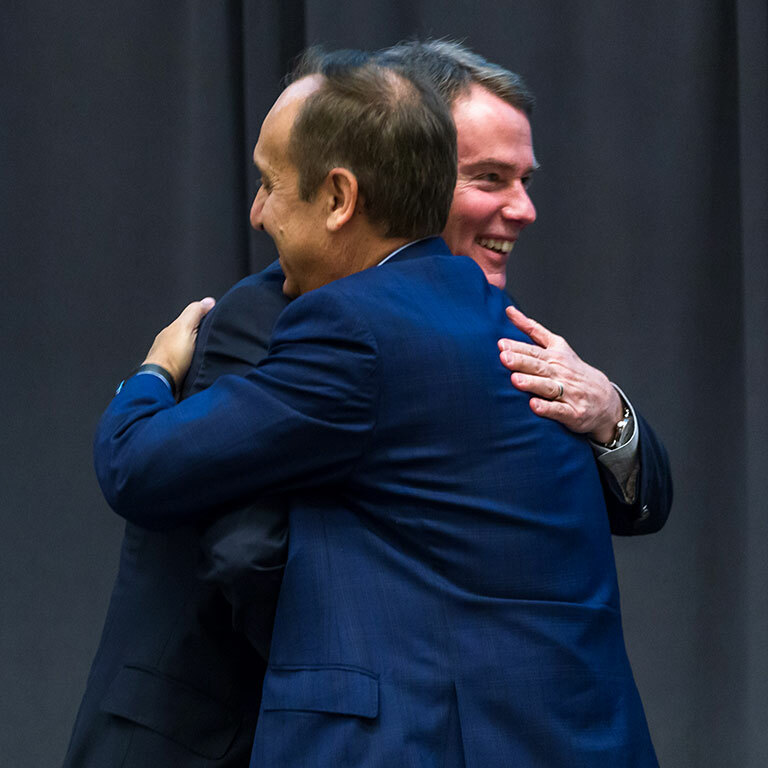 I want to thank Mayor Joe Hogsett for his vision and leadership in this regard. He rides his bike to work, he supports urban gardening, he is committed to carbon neutrality by 2050, and his vision led to this summit -- the first ever of its kind for the city. All of that, and I’m proudest of the fact that Mayor Hogsett is a 2007 graduate of the School of Liberal Arts at IUPUI. Would you please help me welcome IUPUI Jaguar and Mayor of the city of Indianapolis Joe Hogsett?